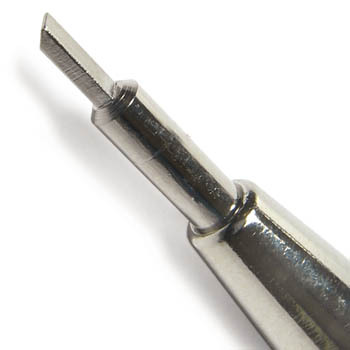 Easily remove pins with this tool. 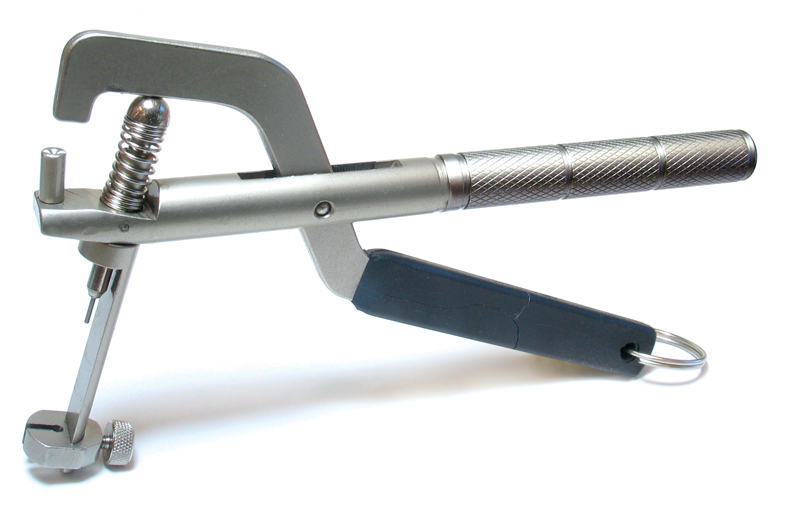 Simply twist the handle to drive pins out. 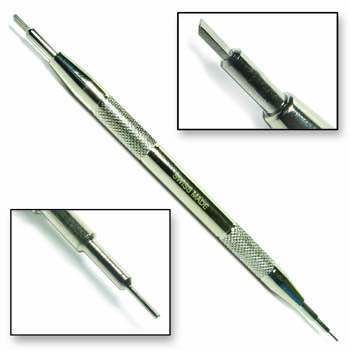 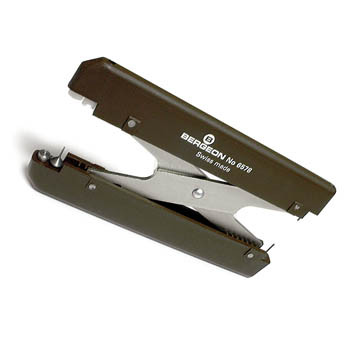 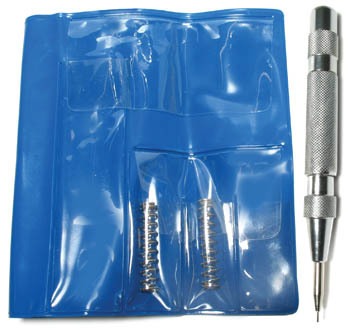 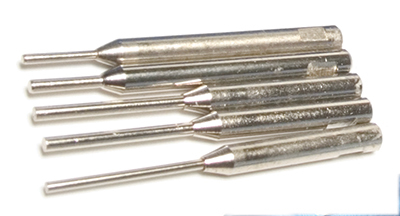 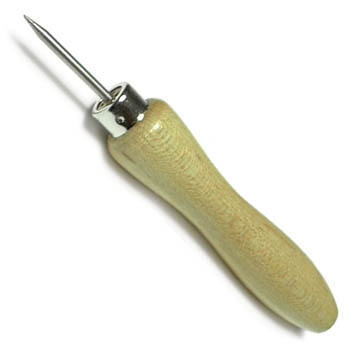 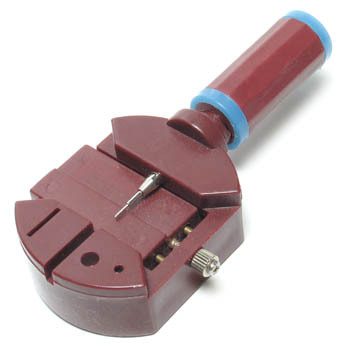 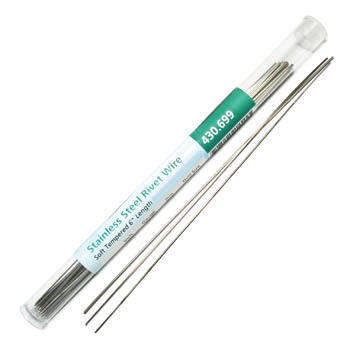 Easily remove pins in watch bracelets with this tool.Simply twist the handle to drive pins out quickly. 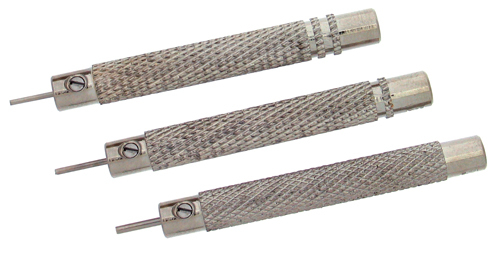 Plastic base is adjustable to accommodate different band thicknesses. 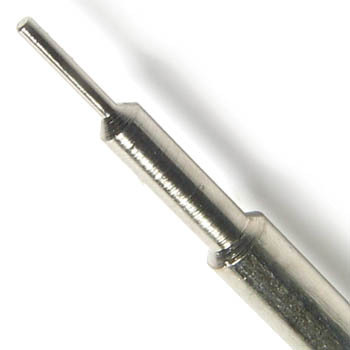 Steel shaft. 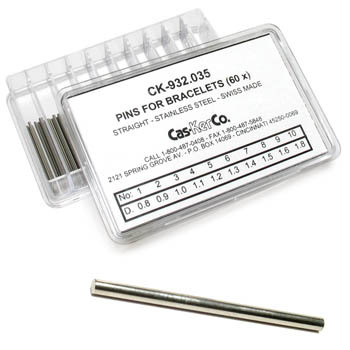 Spare pin available separately - see #590.083.